Color Cube Sudoku is a puzzle game that's great for ages 8 and up! Color Cube Sudoku is a re-imagining of the classic Sudoku puzzle using colors instead of numbers. Flip and arrange your nine color cubes until no colors repeat in any row or column. With over 2 trillion different ways to position the 3-D cubes, it’s more challenging than it may appear! Once you have mastered the traditional puzzle, try your hand at a series of bonus challenges for even more fun! 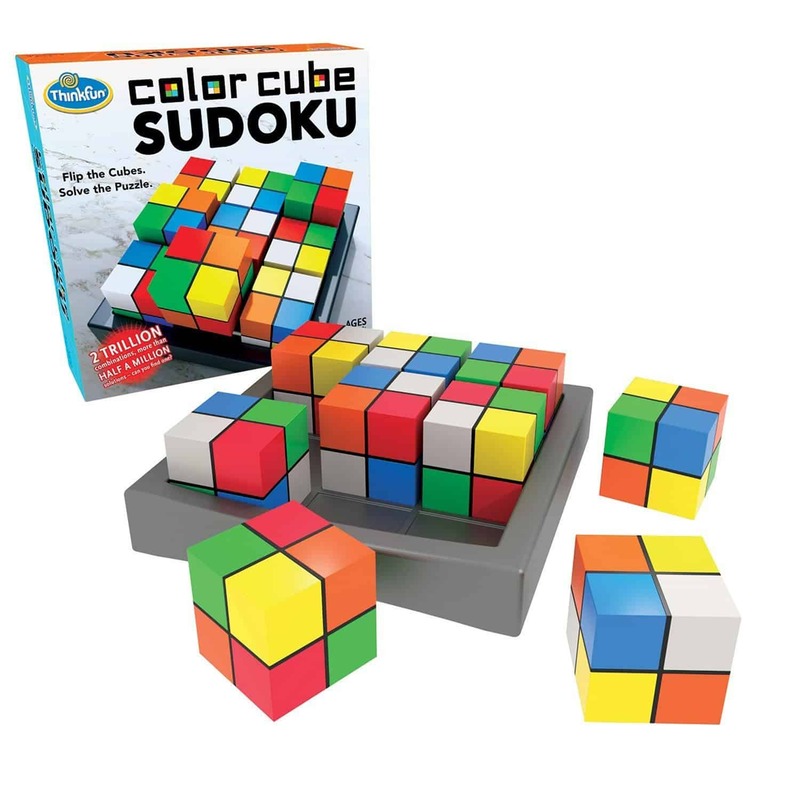 Order Color Cube Sudoku for in-store pickup from Barnes & Noble here or Toys R Us here today, OR order is from Amazon!